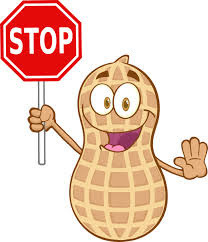 Peanut allergies are a growing ailment that afflicts a large number of children across the country. Parents and caregivers can monitor and make sure their children avoid peanuts, however what happens when a child is not under their watchful eyes? 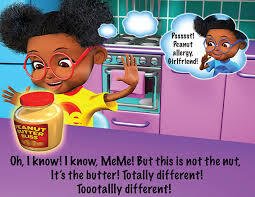 It is important that kids understand the seriousness of peanut allergies and the consequences it can have on their health. A local emergency room physician’s assistant, Tolya Thompson has made it easier to talk to kids about their health concerns through today’s book. 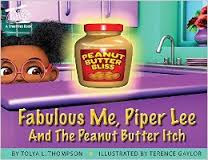 The Fabulous Piper Lee has gotten herself into quite a pickle….well peanut butter jam really! She has fixated herself on the heavenly taste of peanut butter even though she knows it is forbidden to her. The temptation is way too much and she can’t resist even though her inner voice Me-Me warns her to stop. Her momentary delightful splurge results in non-stop scratching, her lips swelling up big and hives breaking dancing all over her body. You see, Piper Lee has a food allergy to peanuts and now what is she to do about it? 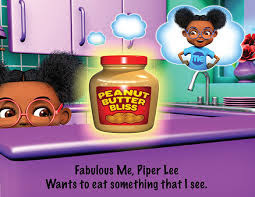 It’s her Mama to the rescue and through her ordeal Piper Lee learns valuable lessons about peanut allergies and how to combat them. The Smarties Book Series is a health based picture book series designed to educate on common childhood illnesses and to increase the public’s ability to read and understand health information. Thus, it is working to increase the nation’s health literacy rate. Using rhyming language, bright illustrations and tons of silly fun, they successfully capture the reader’s attention and get them wanting more. This hands on experience increases their ability to develop health literacy skills and a love for reading. This is very important when it comes to placing children upon the path of academic success and health and wellness. Every book in the series is medically reviewed by some of the very best healthcare providers and researchers in the nation. The reviewers are affiliated with Centres For Disease Control and Prevention, departments of health, WebMd. and Major universities. I loved the message, the illustrations are fabulous…big, bright, expressive, and Fabulous Piper Lee was just that ….fabulous and so was whole the book! I highly recommend this brilliant series. 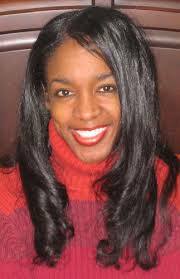 Tolya L. Thompson graduated from George Washington High School in Colorado, received a Bachelor’s of Science in Pre-Med Biology from Southern University in Louisiana, then moved to New York and attended Weill Medical College of Cornell University’s Physician Assistant Program. After receiving board certifications in medicine and surgery she interned at Ms. Magazine. That is when the literary world opened up to her. Inspired and empowered by women such as the great Marcia Gillespie, Tolya wrote her first book in the Smarties Book series, Loud Lips Lucy. Following titles include, Worry Wart Wes, Ingrown Tyrone, Catchin’ Cooties Consuelo, Busy Body Bonita, Wheezing Winona Weatherby and Breathless Bethany Buttercup. I’m a freelance 3D / 2D artist based in Shoreditch, London, with over 20 years experience in character design, illustration, animation and graphic design.